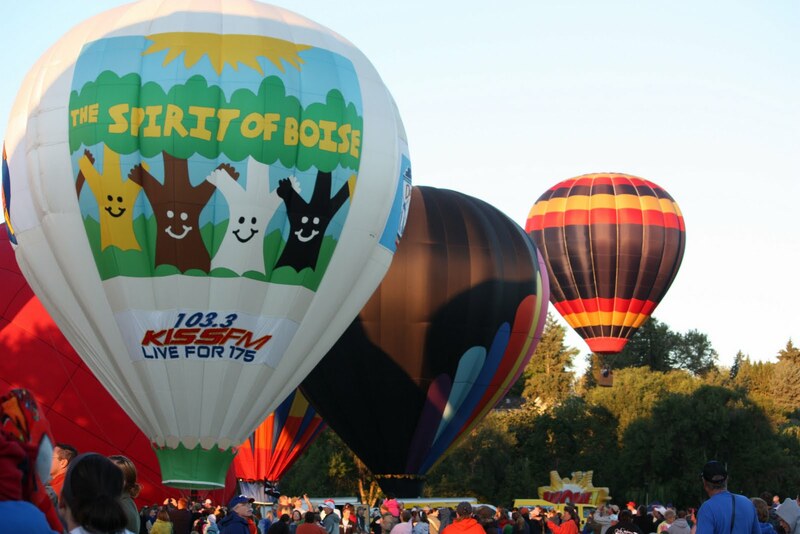 The Spirit of Boise Balloon Classic started Wednesday. 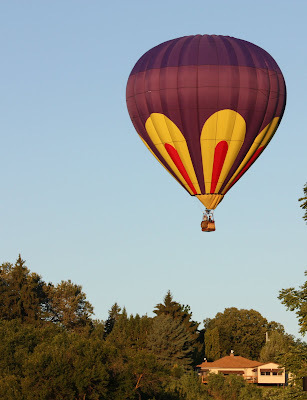 About 40 balloons have been launching each morning, and there was a competition yesterday where they attempted to drop a marker on a target. 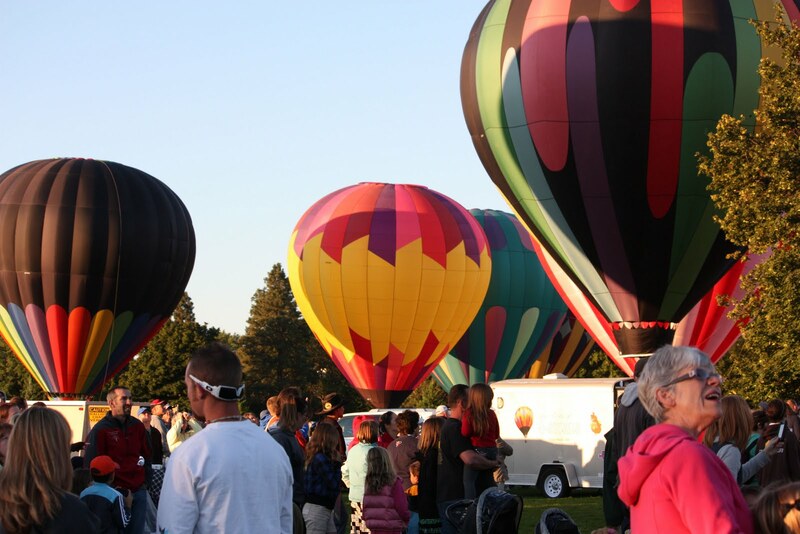 The wind decided otherwise, and all the balloons quickly left Ann Morrison Park. More photos of balloons and people on the extras page. Click here at Boise Daily Photo Extras..
That first photo with just the balloon and the blue sky is a winner! 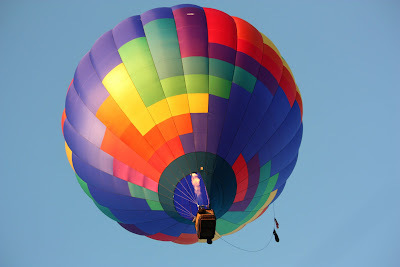 A hot air balloon ride must be a great adventure. Wonderful colours.